This website is great, in particular the minatures collection. 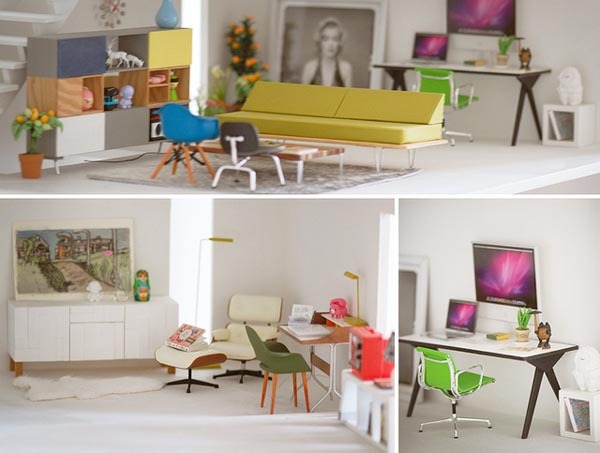 One of my dream projects would be to decorate and furnish a wooden dolls house (in 1960s & 1970s style of course). Linda Gavin’s minatures collection is a real inspiration. Click to visit my Fabulous Vintage website and online shop. My Fabulous Vintage Blog Has Moved! A stunning cushion made from the iconic Sanderson 'Floppy Poppy' fabric from 1967.